Hurrah! 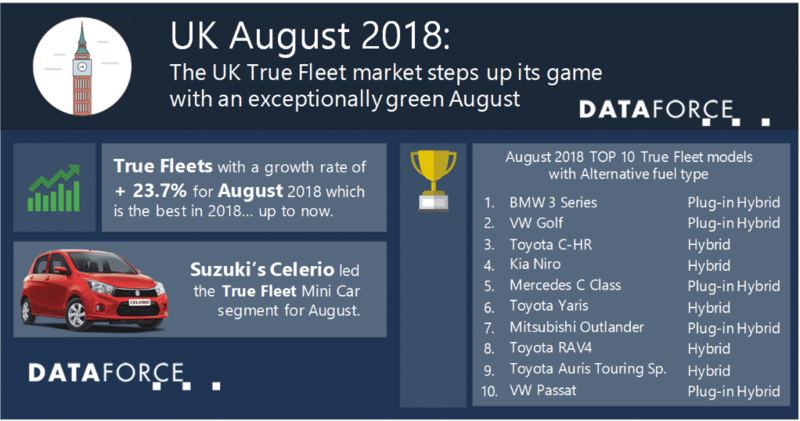 In August the UK passenger car market achieved its highest growth for 2018 so far, thanks to an amazing + 23.1% compared to August 2017. And (almost) all market channels contributed to this positive result. Registrations on private households and on True Fleets increased by + 23.3% and + 23.7% respectively; Dealerships and Manufacturers even registered 68.6% more passenger cars than in August last year. Only the Rental companies decreased their activities by 40.9%. The Total Market overall reached 94,000 registrations which is the highest volume ever for the month of August. Consequently, the year-to-date loss has now come down to “only” – 4.2%. Within the top 10 fleet brands all but one were able to achieve positive numbers in August. 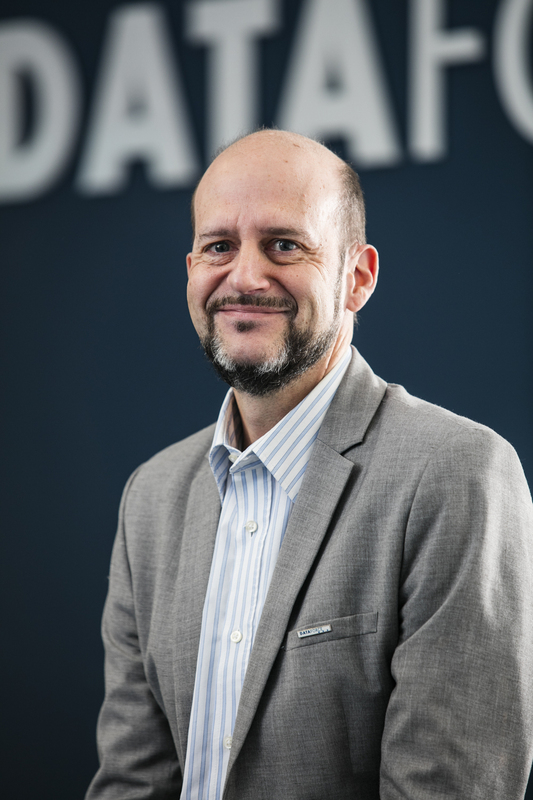 Market leader Volkswagen showed an impressive performance with + 76.0% and subsequently its highest monthly market share in UK’s True Fleets ever. The models Passat, Tiguan, Polo and especially Golf were shining which also reflected in the fuel type mix (see below). Ford (+ 21.4%) finished second followed by Vauxhall, BMW, Mercedes and Audi. Peugeot in 7th (+ 72.9%!) scored its best market share since February 2016 due to the strong results of its SUV range with further support from the 308. SEAT and Kia ranked 8th and 9th and the top 10 were completed by a brand which you probably didn’t expect: it’s Suzuki. The brand from Hamamatsu, Japan jumped from rank number 20 into 10th position and scored a new record market share as well. Why? Well, there is a bunch of Suzuki models with three or even four-digit growth rates and their success was also visible in the vehicle segments Suzuki is competing in: The Swift ranked 4th in the Small Passenger Car segment, the Vitara was 3rd in SUV Small and the Celerio even number 1 in the Mini segment! As mentioned above the performance of some of the top sellers had a direct impact on the fuel type shares. And this led to a few premiers: while the Diesel fell to a share of only 36.3% (which means a new all-time low point in True Fleets) both full EVs and Hybrid powertrains scored new records of 1.0% and 10.7% respectively. The biggest jump came from a model from Wolfsburg: The e-Golf increased its volume by a four-digit growth rate and took the crown for EV cars in August. Overall the emission free passenger cars rose by + 138.3%. The year-to-date ranking still shows the Nissan Leaf in front followed by the BMW i3, Tesla Model S and the e-Golf. The most popular Hybrid model in True Fleets (both August and year-to-date) is not coming from the usual suspect Toyota. It’s the 3 Series from BMW which alone achieved more than a thousand Hybrid registrations in August! this means that almost 85% of all 3 Series registered this month were equipped with the Plug-In Hybrid powertrain. Number two in the ranking was the Golf GTE followed by Toyota C-HR, Kia Niro, Mercedes C-Class, Toyota Yaris, Mitsubishi Outlander and Toyota RAV4.